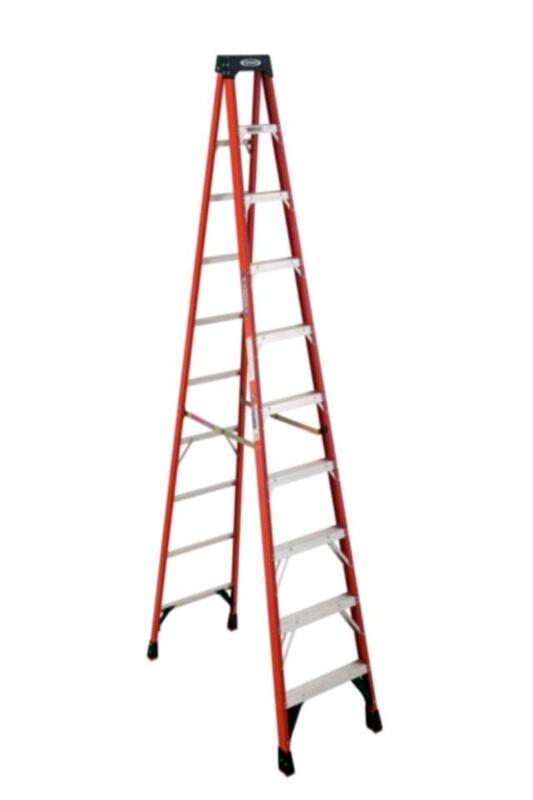 The 16' step ladder has a weight of 80lbs, with dimensions of 16' X 29 1/2" X 7" when folded, and 67 1/2" X 29 1/2" when open. It has a top of 12 1/2" X 7" and pail holder of 10" X 8 1/2" with an overall capacity of 300lbs. * Please call us for any questions on our ladder step 16 foot in Concord, serving all of New Hampshire, including Manchester, Canterbury, Loudon, Hillsboro, and Northwood.